Immigration has been a constant part of American history. The federal government’s policy responses toward immigrants have repeatedly oscillated from welcoming to unwelcoming, with messages that have shifted depending on political and socioeconomic contexts. Historically, non-citizens tended to reside in traditionally immigrant-receiving states such as New York, California, New Jersey and Texas. But this trend has changed since the 1990s and many non-citizens have begun to reside in rural areas that were not familiar with people of different colors, languages and cultures. This changing settlement pattern caused some local communities to consider immigration as a security and public safety issue. Local law enforcement agencies are responsible for protecting the public in their communities. Community residents, regardless of their race, ethnicity or nationality, deserve to be protected from dangerous risks and crime. In this context, many police departments use a community policing strategy. 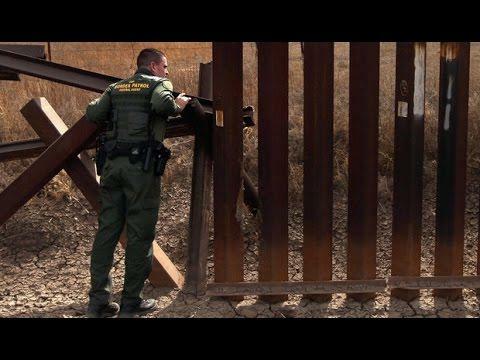 With changing political situations and especially since the passage of the 1996 federal immigration laws, law enforcement officials have faced a dilemma over how to deal with non-citizens in their communities. Under a trend leading to increased immigration enforcement, Washington politicians have requested that local police officers adopt seemingly incompatible dual responsibilities in their communities: community protectors for the public and immigrant agents for catching, detaining and removing dangerous non-citizens, now termed criminal aliens. Through intergovernmental cooperative agreements, federal immigration agencies have requested that many law enforcement agencies participate “administratively” in immigration enforcement actions and intergovernmental programs like 287(g) partnerships, the Secure Communities (S-Comm) Program, Criminal Alien Program and Fugitive Operations. This has created complicated situations for many law enforcement agencies. Local governments began to create their own immigration frameworks and their police officers have become de facto immigration agents, checking the immigration status of suspected non-citizens and catching and detaining them in local jails if they cannot produce documentation of their legal status. While many agree that immigration is a federal area of law, many states with Arizona leading the way with its punitive immigration experiment called SB1070, has resulted in copycat laws that have been adopted widely across the country since 2010. Under such local laws, sheriffs and policy officers have actively been involved in immigration enforcement actions. For example, the Maricopa County Sheriff’s Office (MCSO) under the leadership of the infamous Sheriff Joe Arpaio, self-proclaimed as “America’s toughest Sheriff,” has drastically expanded their immigration enforcement work not only through participation in intergovernmental immigration enforcement actions but also through independent enforcement actions with militarized equipment and strategies. MCSO has engaged in worksite, neighborhood, undercover and racially targeted immigration policing in the name of the war on the undocumented. The outcomes and emotionally sad stories of these encounters have been reported by human and immigrant-rights groups. Granted not all local law enforcement agencies have actively participated in immigration enforcement programs. Some like New York City, San Francisco County, California, and Cook County, Illinois with more liberal political perspectives have been strongly resistant to involvement in local implementation of federal immigration enforcement actions, considering their localities as “sanctuaries” or immigrant-friendly areas. Others have maintained a non-interventionist perspective. In spite of such considerable variations, local involvement in intergovernmental immigration enforcement actions has been institutionalized by the mandatory enforcement program known as S-Comm. The implementation of this program across the country caused extensive fear in many local communities. Immigrants were reluctant to report crimes due to concerns that their families or friends might be involved in local enforcement actions. Local enforcement militarization and expansion of incompatible roles for law enforcement agencies also created serious policy malfunctions, such as racially targeted enforcement actions. The U.S. Department of Justice sued Maricopa County, Arizona in 2012 and Alamance County, North Carolina in 2013 arguing that their sheriff’s offices intentionally targeted Latinos during policing duties. Their racial and ethnic profiling cases were finally ruled on by the federal courts. All of these local policing strategies were necessarily connected with community insecurity. Considering the current political gridlock in Congress, many agencies that adopted intergovernmental immigration enforcement agreements are still required to carry out such incompatible responsibilities simultaneously. First, some institutional and proactive actions are needed for mitigating problems like racial profiling or deteriorating police-community relations. They include creation of local guidelines about how and under what conditions police officers should deal with immigrant-related issues in their communities. Moreover, we should remember that the core role of law enforcement officers are is to protect the public, regardless of citizenship or race, and to increase community safety. Non-citizen enforcement actions should be strictly and carefully limited to only those who have committed dangerous crimes and pose a serious threat to public safety; it should not broadly include non-citizens based on their legality under a broken immigration system. These criterion should be the starting point for the intergovernmental immigration enforcement programs. Author: Dongjae Jung is a doctoral candidate in the School of Public Administration and Policy at Arizona State University. His research is mainly related to public policy analysis, and substantively, to immigration policy at the intergovernmental level. He can be reached at [email protected].